It doesn’t get much better than this for lower camp! 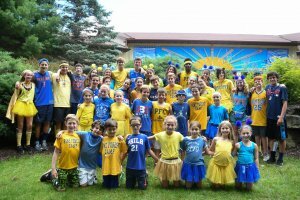 Our older campers are officially all away on their trips. Juniors and Intermediates have the run of camp. It’s a lower camp takeover! The highlight of the day was the COLOR DAYS THROWBACK THROWDOWN. 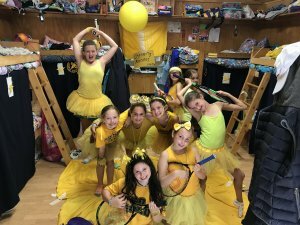 The girls and boys recreated Color Days themes from previous years and competed against each other in decorating the bunk, making a corresponding skit, and CLEAN-UP! It’s SENIOR TRIPS time! Our 9-11th graders look forward to this day every summer and it’s finally here! Our 9th graders are on their way to New England and our 10th graders are headed to Montreal. Curious as to what they’ll be up to? We thought so! Below are some highlights. Tomorrow, our 7s head to the Adirondacks and our 8s head to Vermont! Last night after dinner and after the boys headed back to their bunks, a short but heavy rain passed over the PFC dining room just as the girls were finishing up. The counselors passed out ponchos to all for the walk down to their bunks. But instead of heading back, Lisa Fayne, wearing a PFC bucket hat, jumped up on a chair and started an all girls camp sing-along. Soon old timers were teaching new campers all of the great camp songs of the past. The storm broke, the sun came out, but the girls camp didn’t move. They were too busy singing at the top of their lungs! It was sheer joy! Sometimes the best times at camp come unexpectedly. All it takes is a chance to let loose. This weekend! It’s finally here! 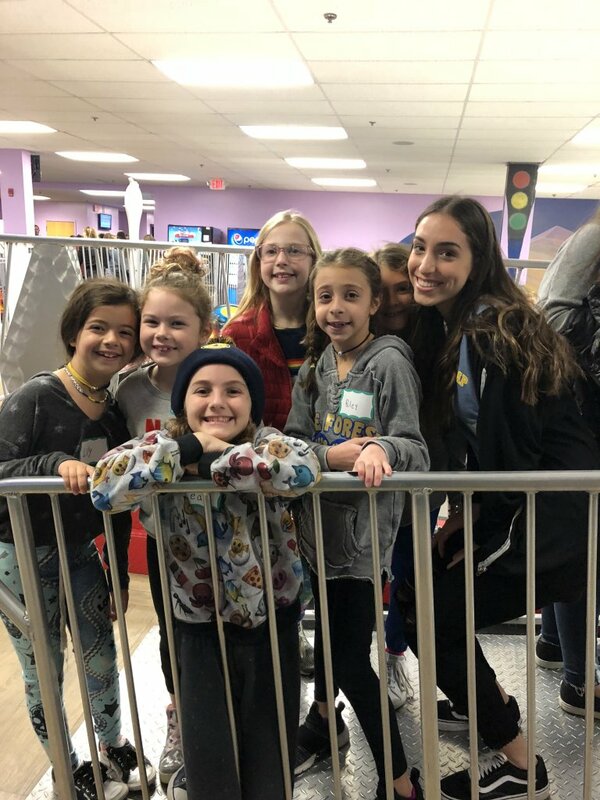 New Camper Weekend 2018! 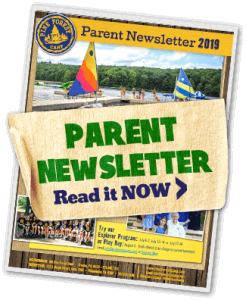 Did you know that each June we invite all new campers and their families to spend the whole weekend at camp a few short weeks before opening day? 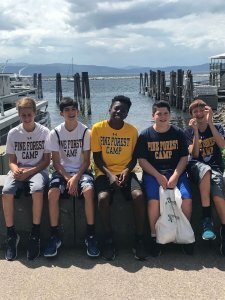 It’s a unique opportunity for campers and their families to connect with staff, meet future bunk mates and really start to feel at home in Greeley, PA. We don’t know any other camp that opens its doors the way we do, and we’re proud of it! Please arrive at camp between 11:30 AM and 12:45 PM on Saturday, June 2nd to experience your first camp lunch! Introductions begin around 1:00 PM. As a reminder, nights in the mountains can be quite chilly, so bring warm and comfortable clothing for the campfire and warm PJs, too! Don’t forget warm bedding or sleeping bags, and remember toiletries and towels as well. 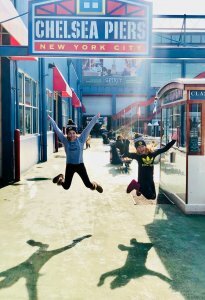 There will be free time to explore, so if you’d like to play, boat or swim as a family, bring tennis racquets, softball gloves, and bathing suits. 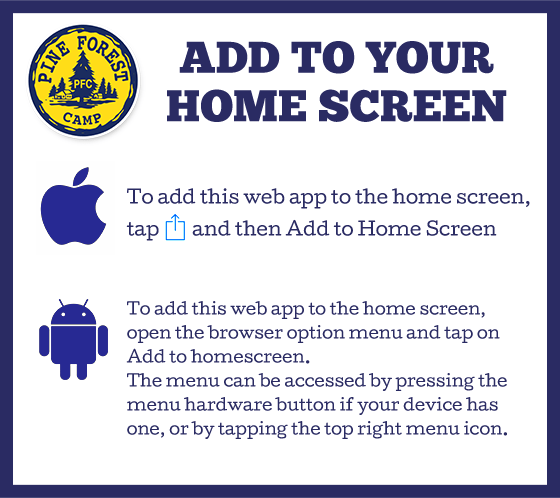 Follow us on social media (@pineforestcamp) for live updates and photos from what will surely be a weekend of lifelong memories in the making! PA and NY New Camper Weekend was AWESOME! Remember: June2-3 weekend is our overnight New Camper Weekend! Stay overnight in a bunk! 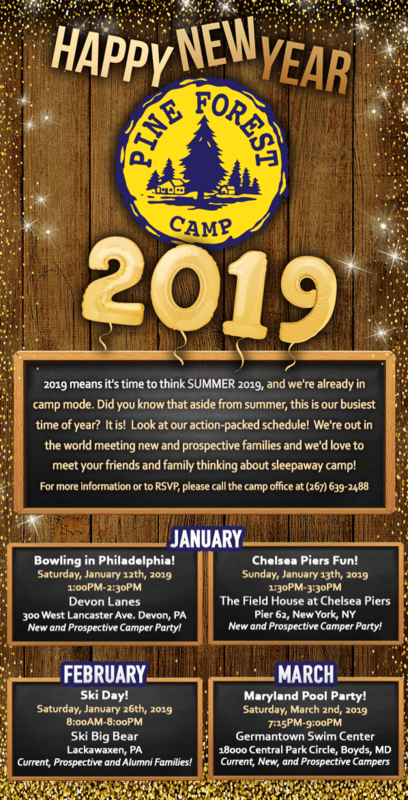 Enjoy camp activities! Sit around the campfire! Make real s’mores at camp! There will be many more new friends to meet. Please call the office for more information or to RSVP. New and prospective camper party!